As the old adage goes... History truly does repeat itself. "The story of the last cataclysmic American oil spill has evolved over time into a straightforward tale of cause and effect: In 1989, a hard-drinking skipper ran his tanker aground in Alaska, and Exxon was unable to prevent crude from spreading along hundreds of miles of pristine shoreline. A commission that investigated the Alaska spill found that oil companies cut corners to maximize profits. Systems intended to prevent disaster failed, and no backups were in place. Regulators were too close to the oil industry and approved woefully inadequate accident response and cleanup plans. 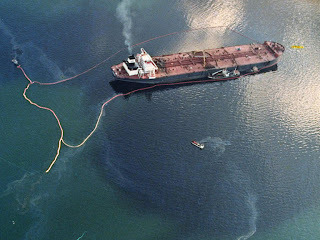 History is repeating, say officials who investigated the Valdez, because the lessons of two decades ago remain unheeded."